A major clinical trial has found that combining a targeted drug with hormone therapy can substantially extend survival for women with advanced breast cancer and may delay the need for chemotherapy. 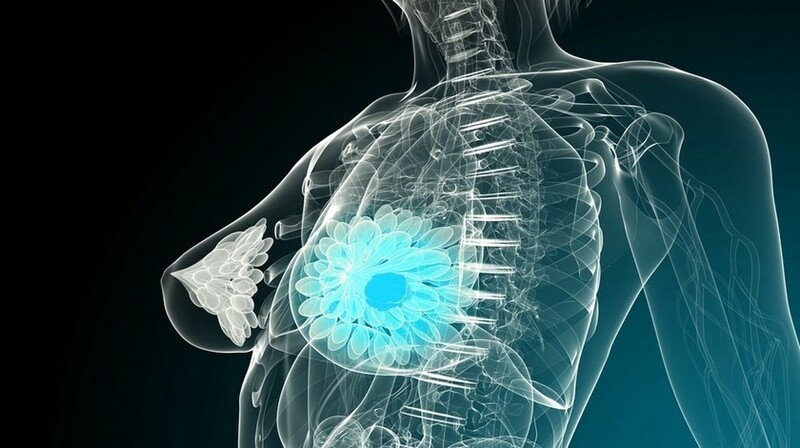 The clinical trial, named PALOMA-3, tested the new method of treatment on women with hormone receptor-positive, human epidermal growth factor receptor 2-negative advanced breast cancer. At this stage currently the only available option is chemotherapy, which can have debilitating side-effects. When taken alongside the hormone therapy fulvestrant, novel drug palbociclib is demonstrated to extend survival by 7 months over taking hormone therapy alone. The researchers found that women who received the combination treatment survived for an average of 6.9–34.9 months longer than those who received fulvestrant and a placebo pill. The effect was shown to be greater in women whose tumors had previously been sensitive to hormone therapy with the combination treatment. In these patients the trial showed a survival time of 39.7 months, 10 months more than those receiving hormone therapy alone. Researchers believe these findings may strengthen the case for making palbociclib available on the NHS. “I’m keen to see it available on the NHS for women with breast cancer who have been treated previously with hormone therapy, as well as those with newly diagnosed advanced disease, as soon as possible,” said Turner. The trial has been published in the New England Journal of Medicine and is being presented at this week’s ESMO conference in Munich, Germany (19–23 October).